Endless lawsuits. State employees refusing to do their jobs. Rampant discrimination. Homophobes run wild. Can one little law send us down the path towards anarchy? Apparently so, if opponents of the state’s Religious Freedom Restoration Act are correct. As is usually the case with such sky-is-falling rhetoric, the truth in this case is much more boring. I have some experience as an aide to legislators. I’ll let you in on a little secret – it is unusual for politicians to have an original thought. Most of the time, they just steal ideas from elsewhere. That’s the case with HB 1228, which appears to be based on the prevalent model of the Religious Freedom Restoration Act (RFRA). The federal government has a RFRA. Twenty other states have RFRAs. Those supporting this bill in Arkansas are just trying to enact a law that’s common throughout the U.S. The decades of experience with this law show why the outlandish predictions being made about HB 1228 are just plain wrong. 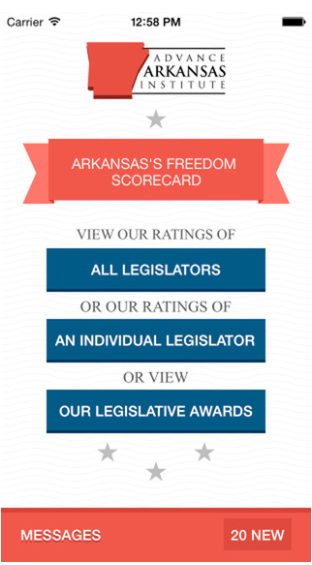 Arkansas residents should be familiar with RFRA works. The Supreme Court recently ruled in favor of an Arkansas inmate who sued the state under the federal Religious Freedom Restoration Act. This inmate, Gregory Holt, wanted to obey his religious convictions and grow his beard a little longer than state regulations allowed. Using RFRA’s standards, the Supreme Court concluded that the state had no legitimate interest in prohibiting him for growing a slightly longer beard. When this case was decided, the sky did not fall. Gregory Holt wasn’t saying that being in prison violated his religious rights. The federal RFRA did not give him the power to do anything he wanted under the guise of religious freedom. The Court merely gave a higher level of scrutiny to the arguments used by the state to infringe upon Holt’s religious practices. If state legislators enact HB 1228, we can expect these types of cases in Arkansas. It will not be a free-for-all where anyone can use a religious justification to break any law he wants. The bill merely says that if the state substantially burdens someone’s religious beliefs, the state needs to have a good reason to do so. Why is this law needed? Taking a look at some of the RFRA cases around the nation should give us a good idea. In Florida, for instance, the city of Ft. Lauderdale tried to prevent a religious group that wanted to obey the Biblical injunction to feed the hungry from providing food to the homeless. The religious group sued under that state’s RFRA and won (there were similar suits in Texas and Pennsylvania). In another case, a Muslim group in Illinois was able to use that state’s RFRA to use their property for religious services. In other instances, state RFRAs allowed Jewish groups and Bible study groups to meet and worship. Courts generally have ruled that the government has a compelling interest in preventing discrimination and that this interest precludes the recognition of religious exceptions. Even in the narrow setting of wedding-service providers, claims for religious exemptions recently have been rejected in various states, including states that have adopted the RFRA test. A court could rule otherwise, protecting religious freedom in this distinctive context. But to date, none has. It’s unfortunate that a law that’s been in place for decades elsewhere has become so controversial. Some with an ideological axe to grind have seized upon it to make a larger political point. This law is not about gay marriage or discrimination or homophobia. It’s about forcing the state to have a compelling interest when it burdens the free exercise of religion. 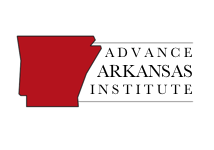 I’ll end this blog with a quote from a former Arkansas Attorney General regarding the federal RFRA: “What this law basically says is that the Government should be held to a very high level of proof before it interferes with someone’s free exercise of religion.” The words spoken by Bill Clinton when he signed the federal law apply just as well to HB 1228. HB 1228 is before the House for a vote this afternoon. Just heard that turncoat Davey Carter is againt this bill. So is former AG Dustin McDaniel. I wonder how Mr. Carter feels about being in line with the secular progressive left? And now why am I not surprised that our liberal Governor didn’t sign the bill? I knew he’d cave to political pressure.